Jonah crab is a species of crab found along the Atlantic Coast of North America. 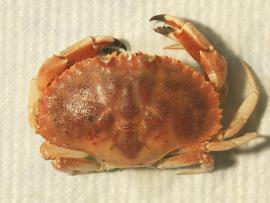 It is closely related to the Dungeness Crab. Jonah Crab Meat and Jonah Crab Claws have a sweet, and subtle crab flavor. The meat is simply delicious! Use Jonah Crab Meat in a simple crab salad or crab cocktail and highlight it’s delicate flavor. Jonah Crab Claws make a great addition to a raw bar or seafood platter! Jonah Crabs are often an overlooked species. If you want to take an active role in helping your customers understand why it’s important to try new or underutilized seafood items, check out this great article. 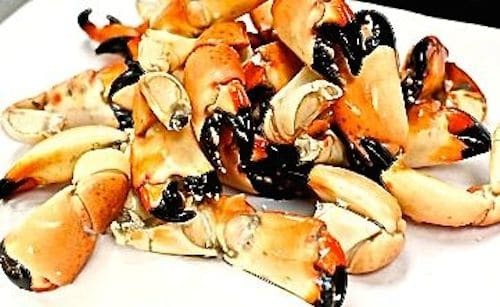 Jonah Crab Claws are a great option for your customers who might be looking for a fun party option – don’t forget the Santa Monica Seafood Cocktail Sauce!